C.15189 - Gorgeous Sunrise views over Venetian Bay & Serene Sunset views over the Gulf of Mexico! 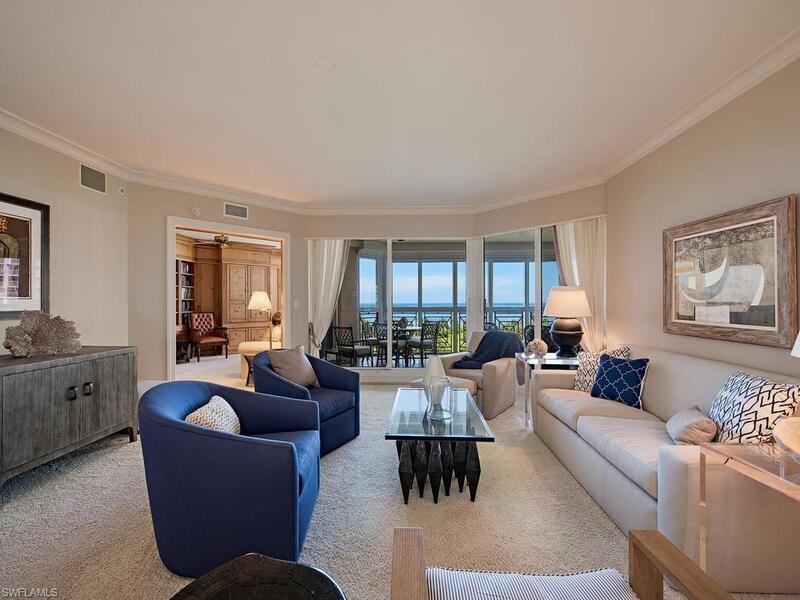 Fabulous 5th floor residence offering custom interior appointments including marble floors, tray ceilings, crown moldings, recessed lighting & plantation shutters. The inviting kitchen with morning room & the centrally located service bar is conveniently located, perfect for entertaining. 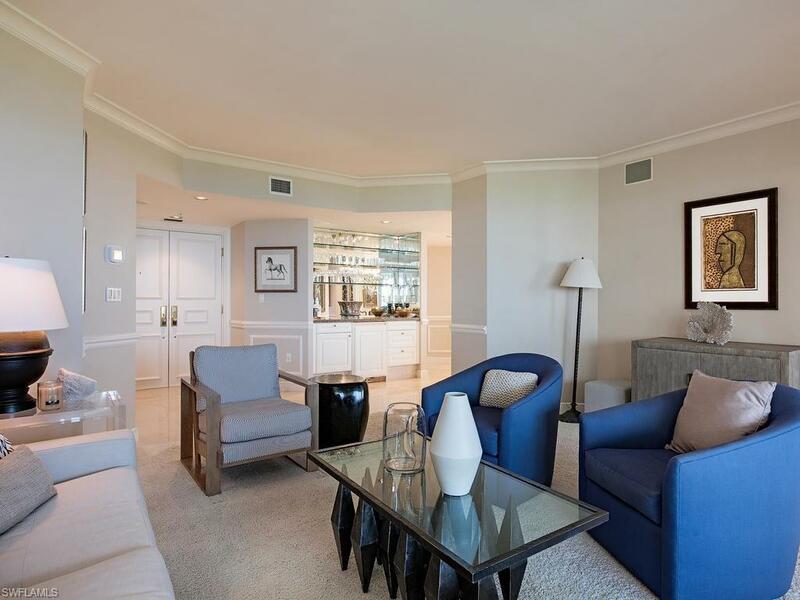 Retreat to the Master Suite with plush carpeting, terrace access sliders and stunning views of the Gulf of Mexico. The Master Bath features dual vanities, Jacuzzi tub, private lavatory with bidet and walk-in closet. Two en-suite guest rooms offer a shared breezy rear sunrise terrace. Library/4th bedroom with full bath and walk-in closet. Air-conditioned storage space and 2 garage parking spots. 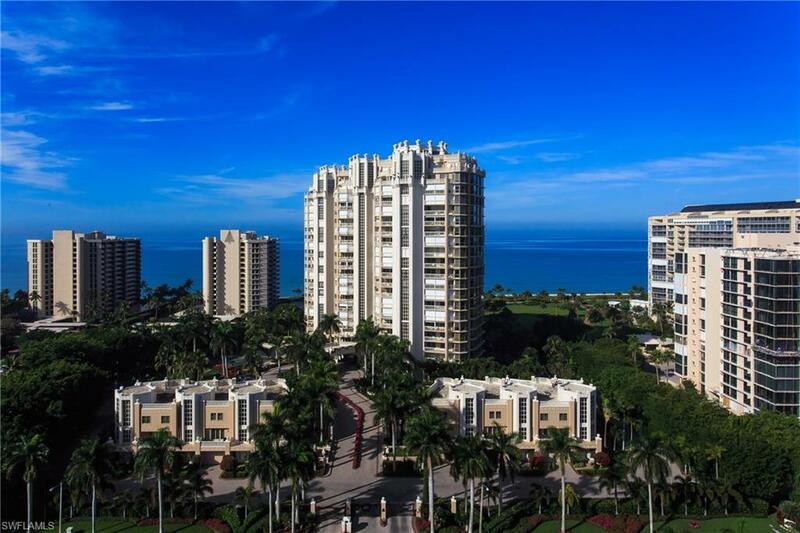 Brittany on Park Shore Beach is a gated and prestigious high-rise offering resort-style living at its finest! It has an incredibly friendly staff, manicured grounds, Four Guest Suites, Tennis Courts, Library, Card Room, Fitness Center and large Pool. 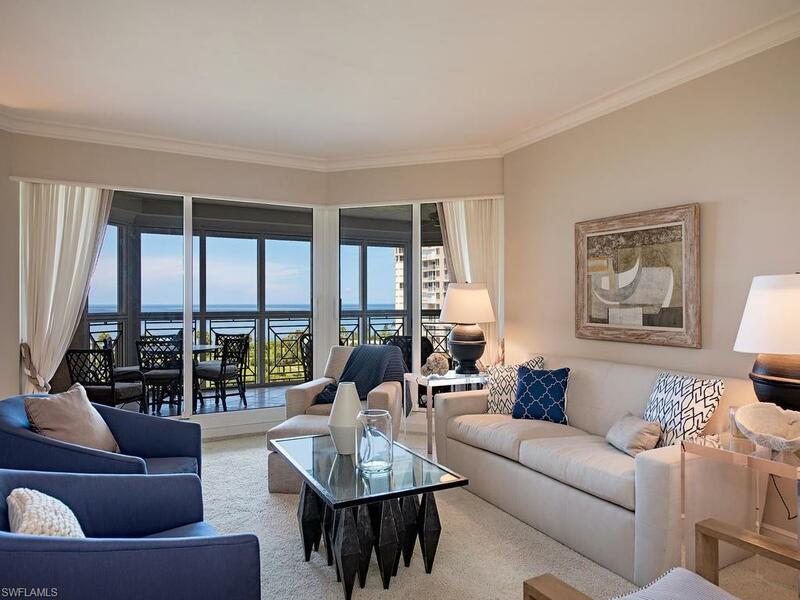 Enjoy being steps from the Beach or stroll to Venetian Village restaurants and shops. Dock lease or purchase option on Venetian Bay. One pet to 25 pounds welcome.